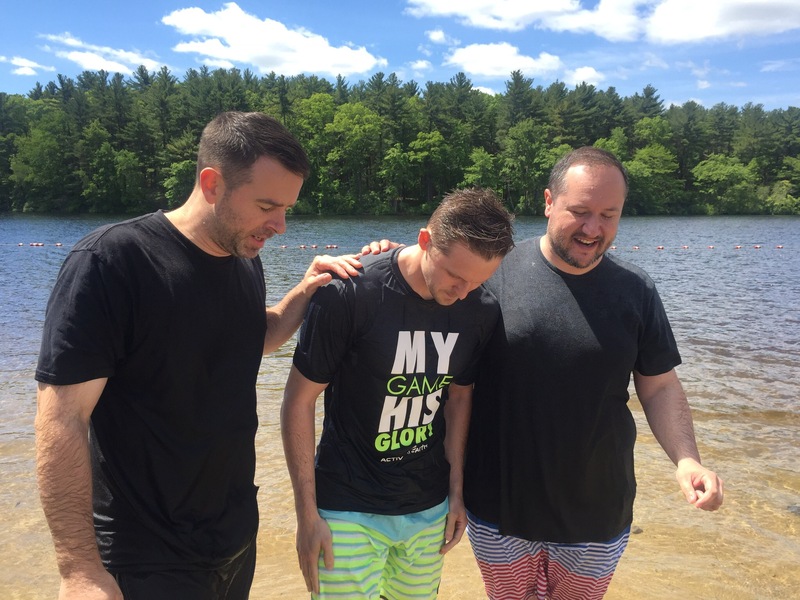 This past month has been an exciting one for Quincy Bay Church. 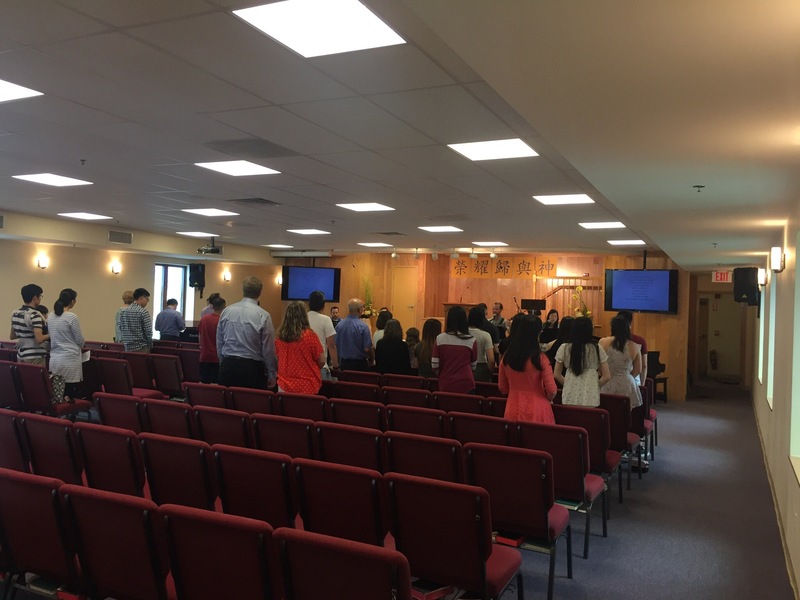 We had our first Baptism, started a new evangelistic ministry, and moved to a new location for our Sunday worship service. 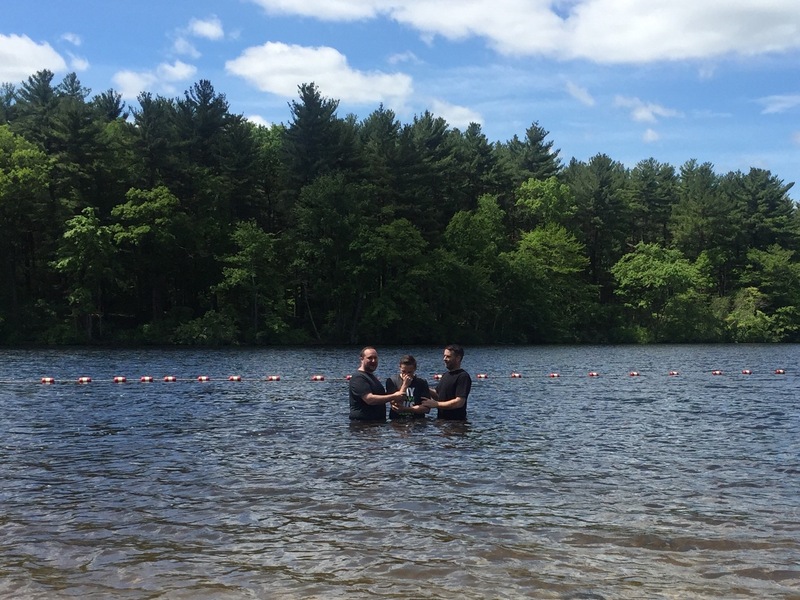 June 4th we had our first baptism at a local pond that’s popular for swimming. 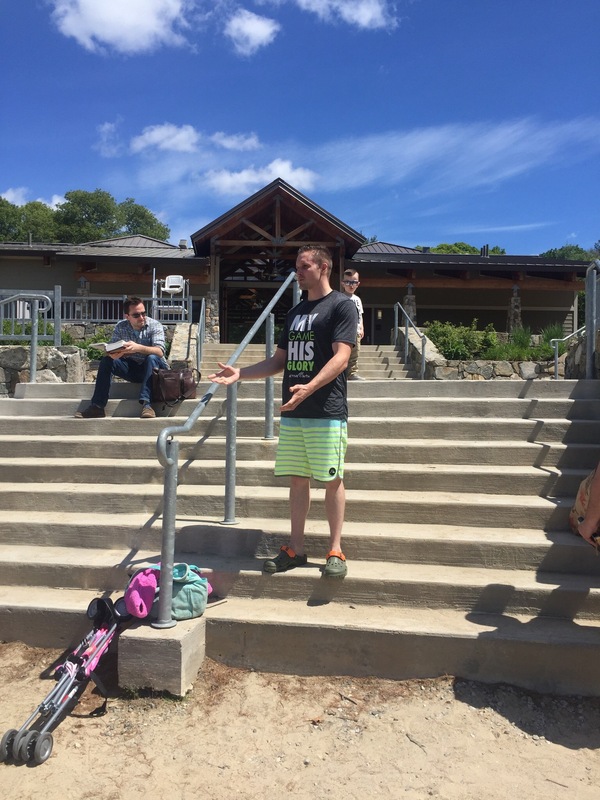 Alan gave a short explanation about the ordinance of baptism and it was a blessing to the entire church to witness Kevin get baptized. 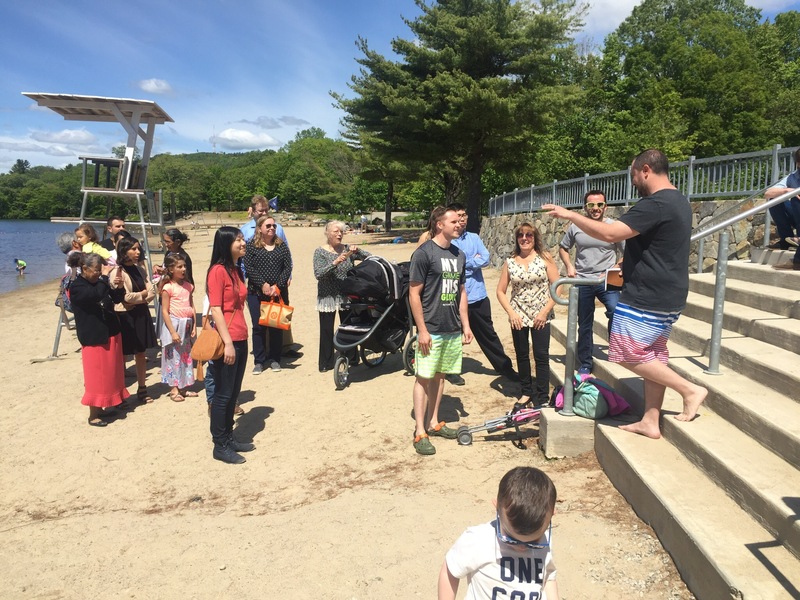 It was a beautiful day and there were plenty of people there to just enjoy the water who got to hear Alan’s baptism explanation and Kevin’s testimony. 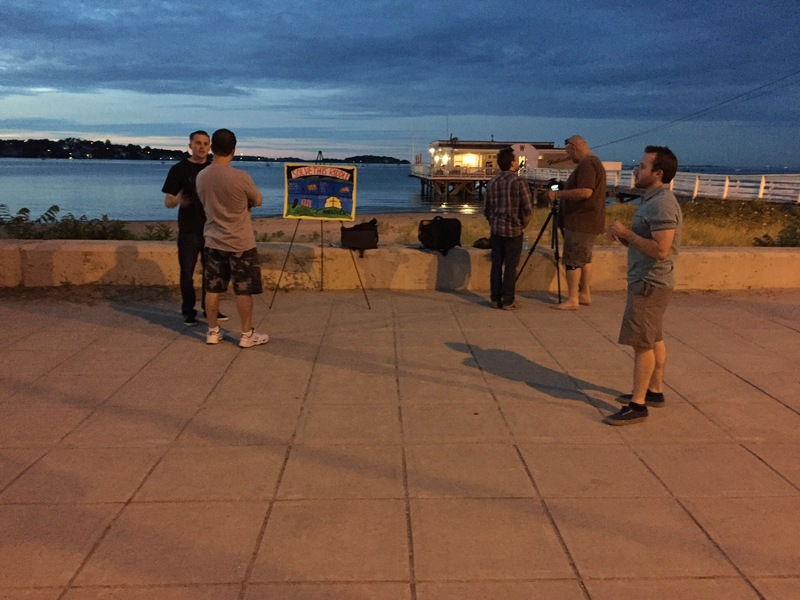 In other exciting news, as the Summer weather has set in, people have been gathering along Quincy Bay in the evenings and we have moved our regular T-station evangelism to the shore. Far more foot traffic, families, and people wanting to stick around and talk about Jesus & The Bible. We handed out over 100 tracts on one night, had some great conversations with unbelievers, and even met a few Christians who were really encouraging! Please pray The Lord will use these regular times of outreach over the next several months to draw people to Himself. 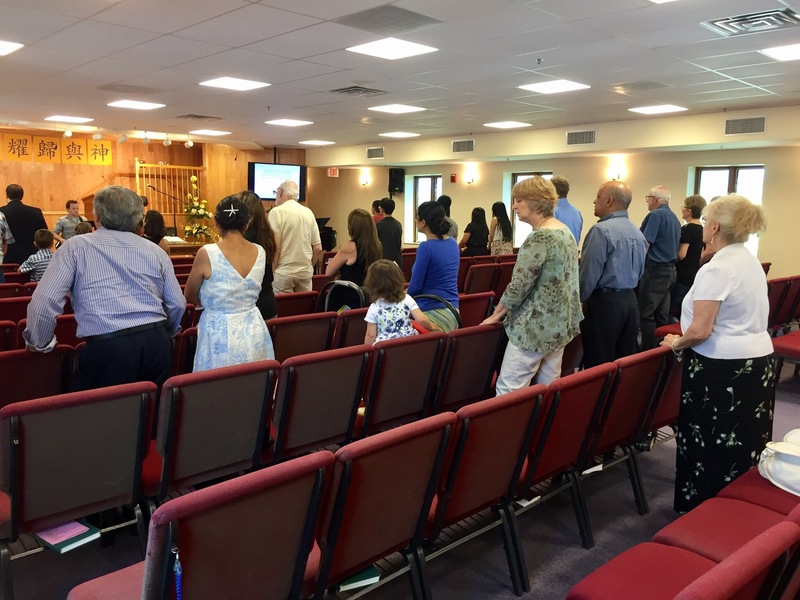 Lastly, we have now begun using the Chinese Baptist Church of Greater Boston’s church building on Sundays for the month of June. They have a Mandarin service at 9am, a Cantonese service at 10:30 and then our service at 12:30. It has definitely been a blessing to meet in a proper church building with a chapel, multiple classrooms and meeting places, a kitchen, and even a baptismal! The believers at the CBCOGB have been very kind to us and we are thankful that Quincy Bay Church has been blessed from this special relationship. Praise the Lord for evangelism opportunities. 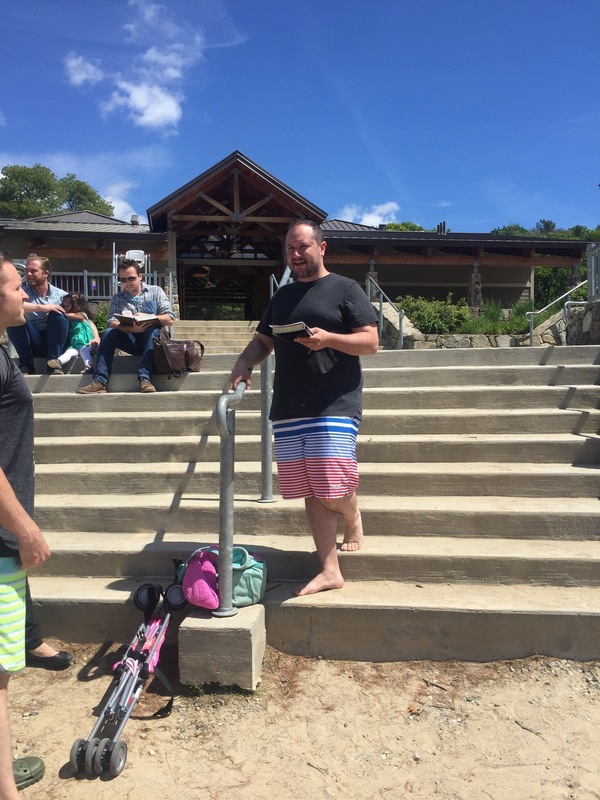 Praise the Lord for Kevin who was baptized. 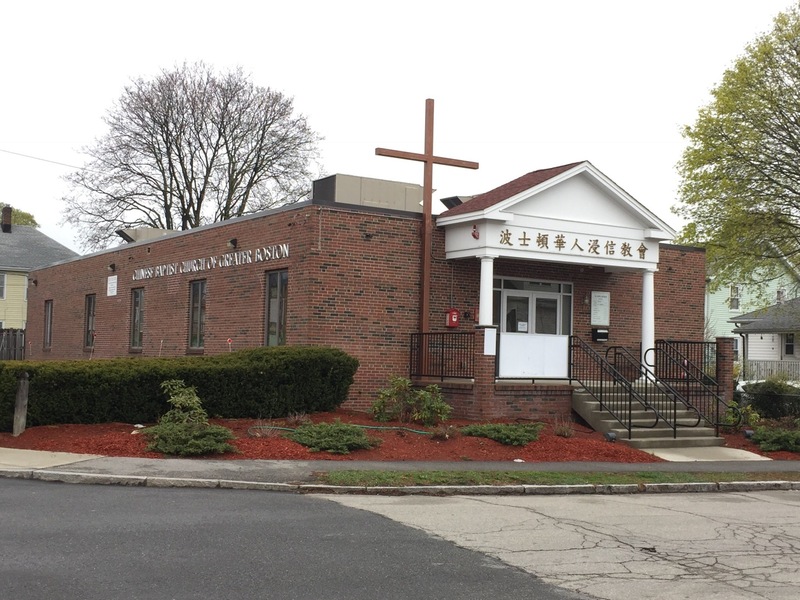 Pray that we will be able to continue to meet at The Chinese Baptist Church’s location. 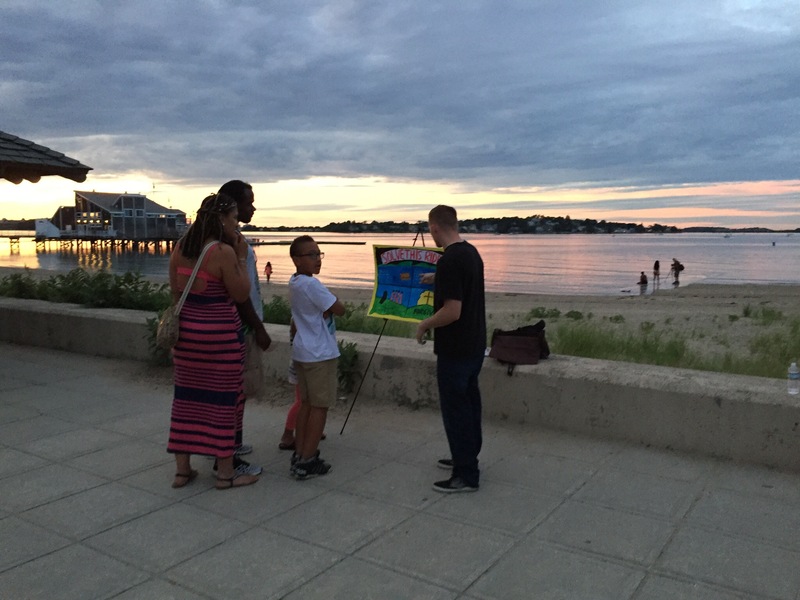 Pray for our Thursday night evangelism team as they talk to many people in our community about Christ. Please pray for our finances, we have been a couple thousand dollars short in support since the beginning of the year. Please pray that the Lord will provide new supporters. We trust the Lord to provide for our family and we know he uses His church and His people to do this. If you know of anyone who would like to support a ministry or you yourself would like to support us. You can make a check out to Grace Global Minitries and mail it to 44648 15th St West, Lancaster CA 93534. Please attach a piece of paper with our names on it so they know who it’s suppose to go to. You can also contact us with any questions regarding support. alan@quincybaychurch.com When you give to this ministry, you make it possible for us to us to reach more of the lost in our community and meet the needs of the saints in the body of Christ assembled here. Please consider if you know of anyone who could partner with us in this endeavor.